Time for Golf to Promote Nine-Hole Competitions? Post by Golf Author Barry Rhodes who is an expert on the rules of golf and author of two books, ‘999 Questions on the Rules of Golf’ / ‘999 More Questions on the Rules of Golf’. "Every other recreation, it seems, takes two hours: movies, dinner, cocktail parties, tennis, bowling, going to the gym. If golf were invented today, it would be a nine-hole game. By no means are we questioning 18 holes, but our culture dictates shorter blocks of free time. I'd rather squeeze in nine holes than none." Traditionally, a round of golf has been over 18 holes, based on the development of the Old Course at St Andrews back in 1764, when there were 10 holes, of which the middle 8 holes were played twice making a round of 18 hole. The 18-hole round was the default round for a golf match from 1933. However the 'stipulated round' of 18 holes was not embodied in the Rules of Golf until 1950. 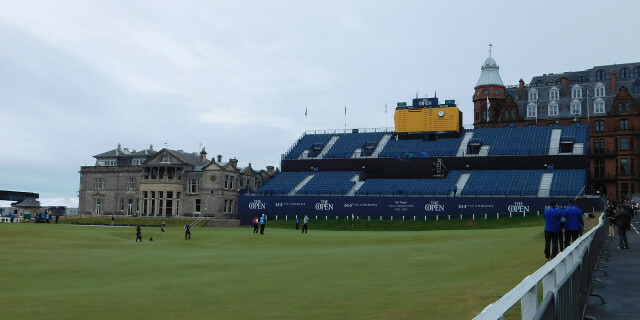 Interestingly, in 1919, when the Royal and Ancient took over sole control of running the Open, half of all the golf courses in Britain were still built as 9-hole courses. Since I first became interested in promoting the idea of more competitions being run over nine holes I have received favourable support from several different groups of golfers, including; seniors who find it difficult to complete 18 holes; workers who like the idea of a shortened round either early morning or mid/late afternoon; young parents who cannot leave their children with their partners for a game of 18 holes; homemakers and retirees who can fit in nine holes between their duties; juniors and youths who can spend a couple of hours on the course post school/college and pre home study or socialising. Finally, there is that extremely important group of potential players that have not yet started playing golf and are put off by knowing how much time they would have to commit to play 18 holes. There is no doubt in my mind that the nine-holes round is a great way to introduce non-golfers to our wonderful game. “Evidence from golf clubs indicates that a significant number of Members, due to increasing demands in their working and family life for example, are unable to play 18 hole Qualifying Competitions frequently enough to establish and maintain a handicap representative of their potential ability. Consequently, in response to the changing needs of the game and the Members of our Affiliated Clubs, Qualifying Competitions over Nine-Holes continue to be offered within the UHS to provide additional opportunities for the return of Qualifying Scores. Nine-Hole Qualifying Competitions are proving to be particularly attractive to clubs and their Members in summer evenings and in the restricted daylight hours of winter weekends. They are also the means by which a greater number of senior golfers are making returns for handicap purposes. This means that players have to put their full handicap on their score card when playing in a nine-hole competition. The Committee is responsible for the addition of scores and application of the handicap recorded on the score card, Rule 33-5. If you have read this article and are supportive of its aims, I encourage you to spread the word in your Club or Society, particularly amongst the competition Committees who may not realise that nine-hole rounds can be eligible for handicap purposes.